The Akai Professional RPM800. The Alesis Elevate 6. The Alto Professional TS215. The Denon DJ HP800. The Denon Professional DN-300C. The ION Plunge. The Marantz Professional MPM-2000. The M-Audio AV32.1. The Numark Red Wave. The goal of this paper isn’t to turn anyone into an engineer. Rather, the goal of this paper is to give people a working knowledge of the basic concepts of sound, how it’s measured and the common terms and phrases we use to describe it. That’s very good info to have, because it gives you a solid overall view of how and why all our stuff fits together. There’s just no getting around this. If you’re going to understand anything about audio—how speakers and headphones work, the effect of recording studio acoustics, how position your mics, the concept of bass management/low-pass filters, anything about audio—you have to understand frequency response. This is the cornerstone of everything in audio. It all starts and stops with frequency response. Amplifiers, headphones, speakers/monitors, mics, cartridges on turntables, CD and DVD players, they all have to have as close to perfect frequency response as possible, or else they just won’t sound right. Nothing else matters if the frequency response is no good. Can’t make it any clearer than that. Let’s start of with the basics: Sound waves in the air that we perceive as music or speech or noise are measured in cycles per second, usually abbreviated as Hertz or Hz (in honor of the late 19th-century German physicist Heinrich Hertz, who did important pioneering work in the field of electromagnetic wave theory). Frequency responses are almost always shown as a graph. This graph is known as the “Frequency Response Graph.”(Clever, no?) You have to know how to read a graph. No excuses. If you paid attention in Mr. Kelleher’s 6th grade arithmetic class, great. If not, you’ll be sorry now. Now look at Figure 2. The black line is a speaker or headphone with excellent frequency response. 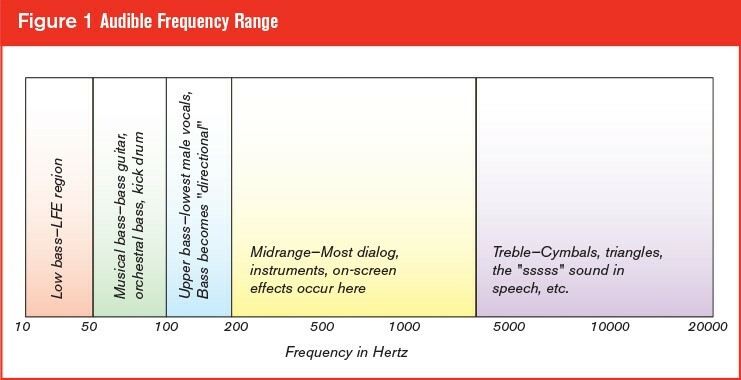 The frequency response curve (so-called because a speaker’s or headphone’s frequency response will curve, or roll off, in the low bass and high treble) is pretty flat (“flat” is good, because it means the device is accurate), with no serious peaks, dips or other up-and-down variations. For speakers, headphones and microphones, ± 2 or 3dB is considered very good. Amplifiers, CD/DVD players and other ‘strictly electronic’ devices should be within ± 0.5 or 1dB at the most.